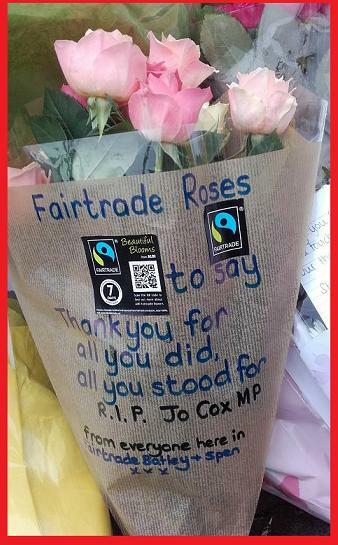 Fairtrade Yorkshire mourns the loss of Jo Cox, the MP for Batley and Spen who was killed on Thursday. Our prayers are with her family. Batley and Spen was the first Fairtrade Zone to be based on a Parliamentary Constituency and Rev Tina Walker of Fairtrade Batley and Spen has worked closely with Jo Cox on the promotion of Fair Trade in the constituency. “Jo Cox tackled difficult issues with passion and conviction. Jo met people warmly, listened to them, and left them feeling she considered them her friend. She was warm, witty, intelligent, inspiring. She worked very hard for the people in her Constituency here in Batley & Spen, she was well-regarded in Westminster. 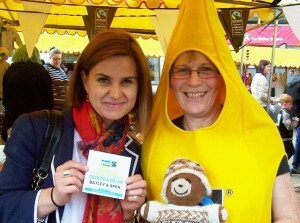 I have clear memories of Jo running the Fairtrade Hook-a-Fish Game with us at Batley Festival: totally relaxed and at-home talking with the young children. Also of Jo seeing the Fairtrade stall at Wilton Park, and rushing over to greet us, affirming the work we were doing, and offering to help us, wanting to be part of it. 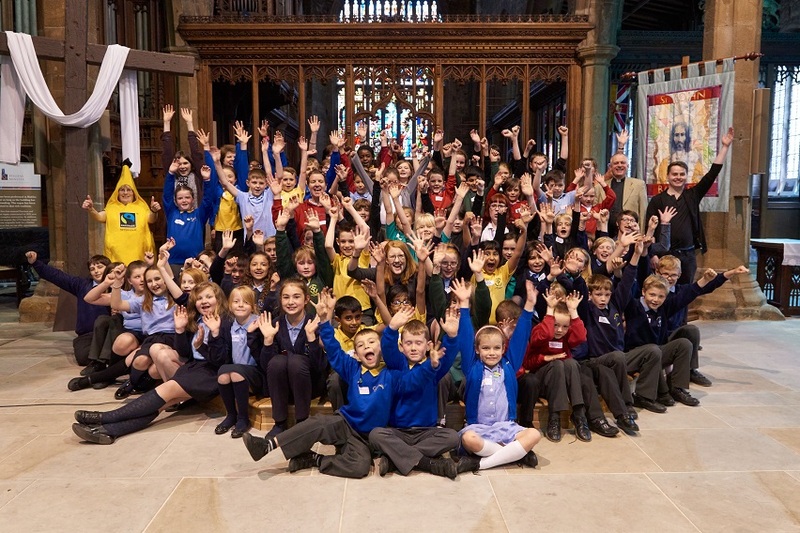 In February, Jo wrote to every primary school in Batley & Spen, inviting them to the Fairtrade Schools Conference taking place in Fairtrade Fortnight. The Conference took place at the Al-Hikmah Centre in Batley, and Jo presented Fairtrade Certificates and Fairtrade footballs to the 12 schools that took part. 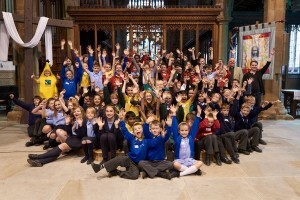 Jo invited questions from the schoolchildren and answered them honestly and encouragingly. Jo told the children that she had worked abroad and seen people’s lives over there, and wanted to change lives for the better. Jo Cox was committed to international development and upholding human rights. Before becoming an MP she had been a dedicated worker for Oxfam, helping to see their vision of a world without poverty transformed into policy. She was passionately concerned about the plight of the people of Syria and worked to ensure that they were not disregarded. Jo Cox had a vision for a strong Britain. A Britain which is compassionate and willing to lend a helping hand. Fairtrade is just one of the causes that Jo supported in order that the people of Britain can contribute to the work towards global justice. Jo’s vision was that Britain should not retreat into introspection but should play its part in the world; working for justice wherever it is needed. She worked tirelessly for justice in Batley, in Westminster, in her work for Oxfam and called for Britain to play its part in Europe and across the world, helping to make this a fairer world. Jo will be sadly missed.